This is the complete dock assembly which includes the ringer / speaker assembly, microphone, antenna and charging dock for the White Apple iPhone 3GS. 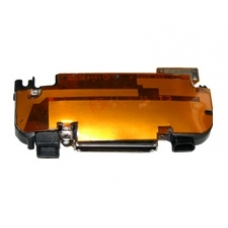 This is an ideal replacement part if more than one fault exists on your iPhone relating to the ringer / speaker / microphone / antenna / dock connector. * Original iPhone 3GS Part White. * Includes Dock Connector and Antenna. * Includes Microphone and Speaker.